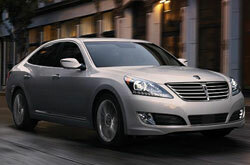 If you desire the best in luxury and performance, choose the Hyundai Equus. With a powerful yet ultra-refined 429-hp V-8 engine that offers more muscle than the Lexus LS 460 and a spacious interior that offers more room than the Mercedes-Benz S550 (126 cu. ft.), the Equus has a leg up on its competitors in several areas. This year, it receives enhancements that offer added value, including interior and exterior design changes, updated technologies and revised suspension tuning. The remainder of our 2014 Hyundai Equus review contains details about this year's most notable highlights, along with vehicle listings and a video tour of the car. North Texas residents in the market for a full-size premium sedan can find the 2014 Hyundai Equus for sale in Carrollton, TX at 1301 South I-35 East. Trim levels include the Signature and Ultimate. For 2014, the lineup shows off refreshed styling that conveys a premium-sport message. Outside, the front end is adorned with thinner chrome bars on the grille, new LED fog lamps, opening strakes on the lower fascia and other elements that simultaneously add an elegant and sporty feel. Inside, Hyundai engineers wanted the cabin's changes to complement the new exterior, so luxury and performance once again meet with updates that include an all-new instrument panel and center stack design, new and easier to read button iconography, an improved steering wheel control layout and more. Both the Signature and Ultimate come standard with the BlueLink-powered Assurance Connected Care safety, service and infotainment telematics system; blind-spot, rear cross-traffic and lane-departure security systems; keyless ignition and entry; front and rear parking sensors; heated, ventilated and leather-upholstered front seats; and much, much more. To this list, the Ultimate adds other noteworthy high-tech features like a head-up windshield display and dual-screen, rear-seat DVD entertainment system. Talk about fully loaded and this is just a brief introduction of the sedan's features. So far this year, Equus is the No. 1 shopped premium luxury car in the nation. 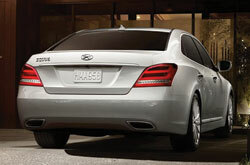 If you want the best, do what others have and consider purchasing the 2014 Equus in Carrollton, Texas. To see additional vehicle specs and video of the car's new interior and exterior, please scroll down to browse the rest of our Hyundai Equus review. 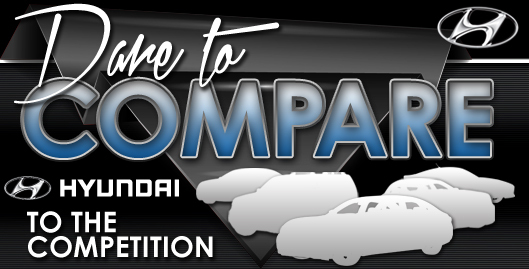 When you compare Hyundai's new 2014 Equus side-by-side with the 2014 Mercedes Benz E Class, Acura RL, Infiniti M Series and the BMW 5 Series, we're sure you'll learn that the Equus is perfectly designed for you. The Equus's handy features and affordable cost are just a few of the noteworthy qualities that shoppers will be pleased with. For Dallas Hyundai customers who want a truly outstanding value, just compare this vehicle's price to the aforementioned vehicles and you'll see that it's a solid investment. The bullet list below this paragraph will give you even more details! The 2014 Hyundai Equus review above was penned by Van Hyundai's automotive writers; for information about earlier models please view the links in the sidebar. Good reviews are hard to find ; but as the reputable Hyundai retailer in Dallas we've put it all in one location for you. 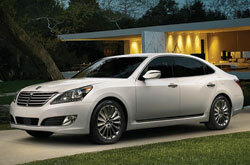 Want to know about the 2014 Equus's cabin amenities and other specs? As your Hyundai retailer, you can count on us for matter-of-fact information. Now that you've read through Van Hyundai's Equus review, please pick up the phone and call us to setup a test drive or learn about exclusive dealership offers and national incentives.